After being sick and entirely off the bike for 6 days, I was chopping at the bit to get some type of ride in. Saturday I watched the CX Worlds in Kentucky and it got me even more pumped for an epic ride. 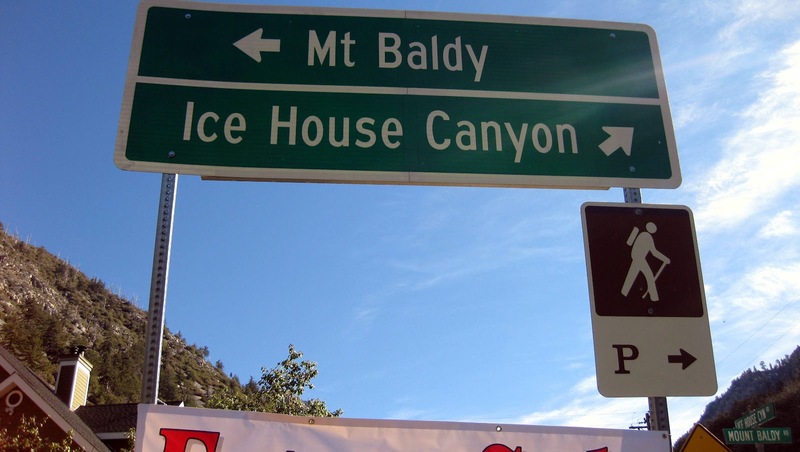 With that said, I decided on a ride to Ice House Canyon. It would be enough to keep me entertained until next weekend's ride. I woke up early and headed to GMR. I had a bit of doubt on whether I would make it, but getting this shot below, was what kept me motivated. Once I entered the village I just kept going. I felt good and didn't want to stop. Once at Ice House, I snapped the picture below and was surprised how good I felt. I think I could have kept going but didn't refill at the Post Office and was pressed to time. New goal for 2013, at least 2 to 5 trips to the lifts. Today was beautiful on GMR. There were many great photo ops, but I chose to refrain from taking any of them. I only wanted one photo. The photo that kept me going. Funny how stupid ideas/things can keep you motivated.